St. Laurent in the 1950s. Louis St. Laurent (French pronunciation: ​[lwi sɛ̃ lɔʁɑ̃]) was born on 1 February 1882 in Compton, Quebec, a village in the Eastern Townships, to Jean-Baptiste-Moïse Saint-Laurent, a French-Canadian, and Mary Anne Broderick, an Irish-Canadian. He grew up fluently bilingual. His English had a noticeable Irish brogue, while his gestures (such as a hunch of the shoulders) were French. He received degrees from Séminaire Saint-Charles-Borromée (B.A. 1902) and Université Laval (LL.L. 1905). He was offered, but declined, a Rhodes Scholarship upon this graduation from Laval in 1905. In 1908, he married Jeanne Renault (1886–1966), with whom he had two sons and three daughters. St-Laurent worked as a lawyer from 1905 to 1941, also becoming a professor of law at Université Laval in 1914. St-Laurent practised corporate and constitutional law in Quebec and became one of the country's most respected counsel. He served as President of the Canadian Bar Association from 1930 to 1932. St-Laurent's father, a Compton shopkeeper, was a staunch supporter of the Liberal Party of Canada and was particularly enamoured with Sir Wilfrid Laurier. When Laurier led the Liberals to victory in the 1896 election, 14-year-old Louis relayed the election returns from the telephone in his father's store. However, while an ardent Liberal, Louis remained aloof from active politics for much of his life, focusing instead on his legal career and family. He became one of Quebec's leading lawyers and was so highly regarded that he was offered a position in the Cabinet of the Conservative Prime Minister Arthur Meighen in 1926 and was offered a seat as a justice in the Supreme Court of Canada; he declined both offers. 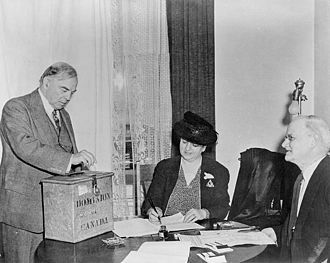 It was not until he was nearly 60 that St-Laurent finally agreed to enter politics when Liberal Prime Minister William Lyon Mackenzie King appealed to his sense of duty in late 1941. Following the death of his Quebec lieutenant, Ernest Lapointe, in November 1941, King was well aware of the need for the government to have a strong, well-respected member of cabinet to serve as a new deputy for Quebec to help deal with the volatile conscription issue. 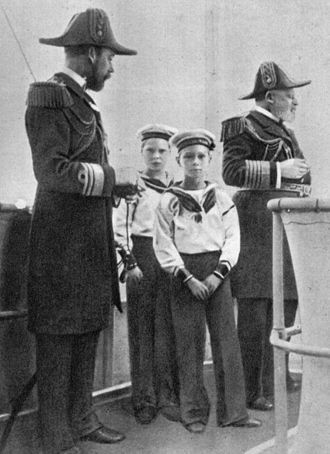 King had been in his political infancy when he witnessed the Conscription Crisis of 1917 during World War I and he wanted to prevent the same divisions from threatening his government. No Quebec or francophone members of King's cabinet or government were willing to step into the role, but many recommended St. Laurent to take the post instead. On these recommendations, King recruited St. Laurent to his World War II cabinet as Minister of Justice, Lapointe's former post, on 9 December. 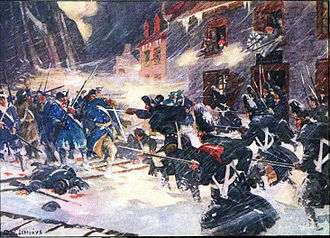 St. Laurent agreed to go to Ottawa out of a sense of duty, but only on the understanding that his foray into politics was temporary and that he would return to Quebec at the conclusion of the war. In February 1942, he won a by-election for Quebec East, Lapointe's former riding. St-Laurent supported King's decision to introduce conscription in 1944, despite the lack of support from other French Canadians (see Conscription Crisis of 1944). His support prevented more than a handful of Quebec Liberal Members of Parliament (MPs) from leaving the party, and was therefore crucial to keeping the government and the party united. He had to deal with the defection of Soviet cipher clerk Igor Gouzenko in Ottawa in September 1945; Gouzenko's revelations and subsequent investigations over the following few years showed major Soviet espionage in North America. King came to regard St-Laurent as his most trusted minister and natural successor. He persuaded St-Laurent that it was his duty to remain in government following the war in order to help with the construction of a post-war international order and promoted him to the position of Secretary of State for External Affairs (foreign minister) in 1945, a portfolio King had previously always kept for himself. In this role, St-Laurent represented Canada at the Dumbarton Oaks Conference and San Francisco Conference that led to the founding of the United Nations (UN). 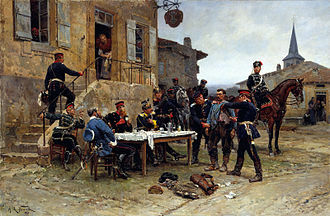 At the conferences, St-Laurent, compelled by his belief that the UN would be ineffective in times of war and armed conflict without some military means to impose its will, advocated the adoption of a UN military force. This force he proposed would be used in situations that called for both tact and might to preserve peace or prevent combat. In 1956, this idea was actualized by St-Laurent and his Secretary of State for External Affairs Lester B. Pearson in the development of UN Peacekeepers that helped to put an end to the Suez Crisis. 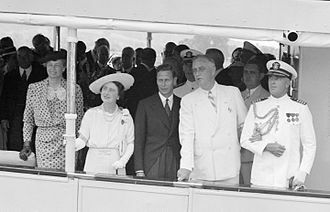 In 1948, King retired, and quietly persuaded his senior ministers to support St-Laurent's selection as the new Liberal leader at the Liberal leadership convention of August 1948. St-Laurent won, and was sworn in as Prime Minister of Canada on 15 November, making him Canada's second French-Canadian Prime Minister, after Wilfrid Laurier. The Canadian economy was one of the strongest in the world in the period immediately following the end of the war. The prosperity lasted for more than a decade, significantly expanding the Canadian national infrastructure. In the 1949 federal election that followed his ascension to the Liberal leadership, many wondered, including Liberal party insiders, if St-Laurent would appeal to the post-war populace of Canada. On the campaign trail, St-Laurent's image was developed into somewhat of a 'character' and what is considered to be the first 'media image' to be used in Canadian politics. St-Laurent chatted with children, gave speeches in his shirt sleeves, and had a 'common touch' that turned out to be appealing to voters. At one event during the 1949 election campaign, he disembarked his train and instead of approaching the assembled crowd of adults and reporters, gravitated to, and began chatting with, a group of children on the platform. A reporter submitted an article entitled "'Uncle Louis' can't lose!" 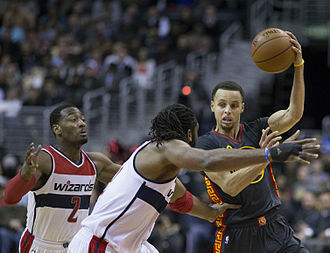 which earned him the nickname "Uncle Louis" in the media (Papa Louis in Quebec). With this common touch and broad appeal, he subsequently led the party to victory in the election against the Progressive Conservative Party led by George Drew. The Liberals won 190 seats—the most in Canadian history at the time, and still a record for the party. His reputation as Prime Minister was impressive. He demanded hard work of all of his MPs and Ministers, and worked hard himself. He was reputed to be as knowledgeable on some ministerial portfolios as the ministers responsible themselves. To that end, Jack Pickersgill (a minister in St-Laurent's cabinet) said as prime minister St-Laurent had: "as fine an intelligence as was ever applied to the problems of government in Canada. He left it a richer, a more generous and more united country than it had been before he became prime minister." St-Laurent led the Liberals to another powerful majority in the 1953 federal election. While the Liberals lost several seats, they still had 111 more seats than the Tories, enabling them to dominate the House of Commons of Canada. 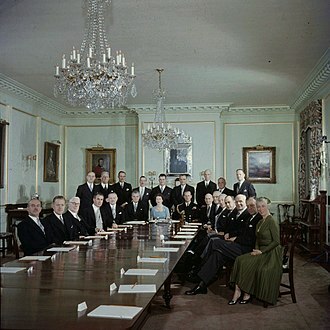 St-Laurent and his cabinet oversaw Canada's expanding international role in the postwar world. 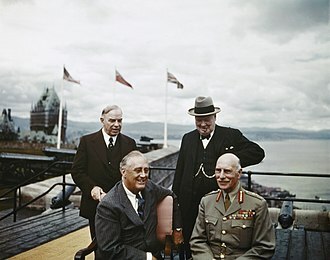 His stated desire was for Canada to occupy a social, military and economic middle power role in the post-World War II world. In 1947, he identified five basic principles of Canadian foreign policy and five practical applications regarding Canada's international relations. Always highly sensitive to cleavages of language, religion, and region, he stressed national unity, insisting, "that our external policies shall not destroy our unity ... for a disunited Canada will be a powerless one." He also stressed political liberty and rule of law in the sense of opposition to totalitarianism. 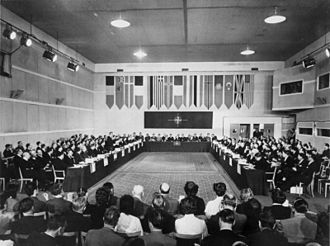 Militarily, St-Laurent was a leading proponent of the establishment of the North Atlantic Treaty Organization (NATO) in 1949, serving as an architect and signatory of the treaty document. 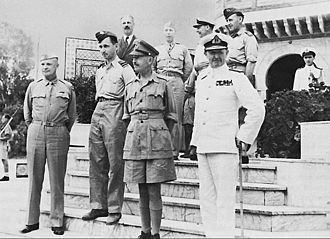 Involvement in such an organization marked a departure from King who had been reticent about joining a military alliance. Under his leadership, Canada supported the United Nations (U.N.) in the Korean War and committed the third largest overall contribution of troops, ships and aircraft to the U.N. forces to the conflict. Troops to Korea were selected on a voluntary basis. 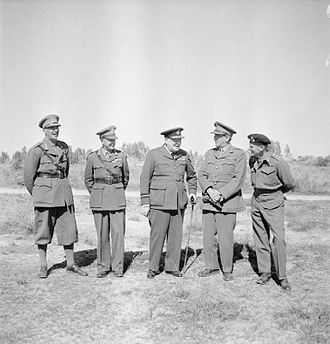 In 1956, under his direction, St-Laurent's Secretary of State for External Affairs Lester B. Pearson, helped solve the Suez Crisis in 1956 between Great Britain, France, Israel and Egypt, bringing forward St-Laurent's 1946 views on a U.N. military force in the form of the United Nations Emergency Force (UNEF) or peacekeeping. It is widely believed that the activities directed by St-Laurent and Pearson could well have avoided a nuclear war. 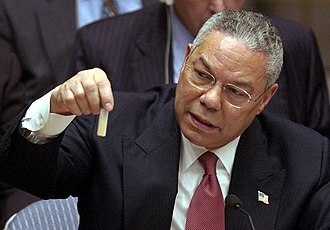 These actions were recognized when Pearson won the 1957 Nobel Peace Prize. 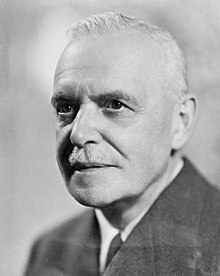 St-Laurent was an early supporter of British Prime Minister Clement Attlee's proposal to transform the British Commonwealth from a club of white dominions into a multi-racial partnership. The leaders of the other "white dominions" were less than enthusiastic. 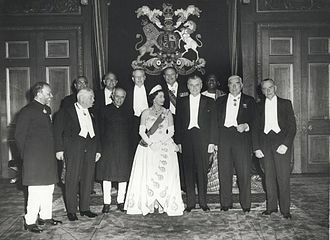 It was St-Laurent who drafted the London Declaration, recognizing King George VI as Head of the Commonwealth as a means of allowing India to remain in the international association once it became a republic. St-Laurent's government was modestly progressive, fiscally conservative and run with business-like efficiency. Robertson says, "St Laurent's administrations from 1949 to 1956 probably gave Canada the most consistently good, financially responsible, trouble-free government the country has had in its entire history." It took taxation surpluses no longer needed by the wartime military and paying back in full Canada's debts accrued during the World Wars and the Great Depression. With remaining revenues, St-Laurent oversaw the expansion of Canada's social programs, including the gradual expansion of social welfare programs such as family allowances, old age pensions, government funding of university and post-secondary education and an early form of Medicare termed Hospital Insurance at the time. This scheme lay the groundwork for Tommy Douglas' healthcare system in Saskatchewan, and Pearson's nationwide universal healthcare in the late 1960s. Under this legislation, the federal government paid around 50% of the cost of provincial health plans to cover "a basic range of inpatient services in acute, convalescent, and chronic hospital care." The condition for the cost-sharing agreements was that all citizens were to be entitled to these benefits, and by March 1963, 98.8 of Canadians were covered by Hospital Insurance. According to historian Katherine Boothe, however, St. Laurent did not regard government health insurance to be a "good policy idea", instead favouring the expansion of voluntary insurance through existing plans. In 1951, for instance, St. Laurent spoke in support of the medical profession assuming "the administration and responsibility for, a scheme that would provide prepaid medical attendance to any Canadian who needed it". In addition, St-Laurent modernized and established new social and industrial policies for the country during his time in the prime minister's office. Amongst these measures included the universalization of old-age pensions for all Canadians aged seventy and above (1951), the introduction of old age assistance for needy Canadians aged sixty-five and above (1951), the introduction of allowances for the blind (1951) and the disabled (1954), amendments to the National Housing Act (1954) which provided federal government financing to non-profit organisations as well as the provinces for the renovation or construction of hostels or housing for students, the disabled, the elderly, and families on low incomes, and unemployment assistance (1956) for unemployed employables on welfare who had exhausted (or did not qualify for) unemployment insurance benefits. During his last term as Prime Minister, St-Laurent's government used $100 million in death taxes to establish the Canada Council to support research in the arts, humanities, and social sciences. In 1949, the former lawyer of many Supreme Court cases, St-Laurent ended the practice of appealing Canadian legal cases to the Judicial Committee of the Privy Council of Great Britain, making the Supreme Court of Canada the highest avenue of legal appeal available to Canadians. 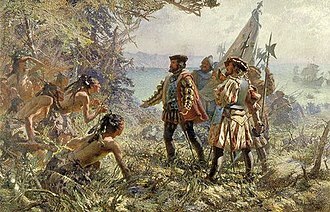 In that same year, St-Laurent negotiated the British North America (No. 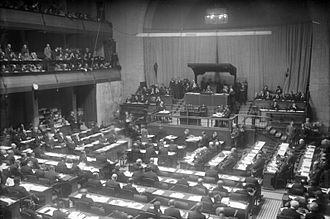 2) Act, 1949 with Britain which 'partially patriated' the Canadian Constitution, most significantly giving the Canadian Parliament the authority to amend portions of the constitution. Also in 1949, following two referenda within the province, St-Laurent and Premier Joey Smallwood negotiated the entry of Newfoundland into Confederation. When asked in 1949 whether he would outlaw the Communist Party in Canada, St-Laurent responded that the party posed little threat and that such measures would be drastic. In 1952, he advised Queen Elizabeth II to appoint Vincent Massey as the first Canadian-born Governor-General. Each of the aforementioned actions were and are seen as significant in furthering the cause of Canadian autonomy from Britain and developing a national identity on the international stage. In 1956, using the Constitutional taxation authority of the federal level of government, St-Laurent's government introduced the policy of "Equalization payments" which redistributes taxation revenues between provinces to assist the poorer provinces in delivering government programs and services, a move that has been considered a strong one in solidifying the Canadian federation, particularly with his home province of Québec. 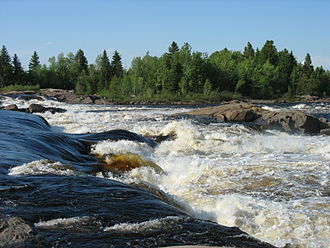 The government also engaged in massive public works and infrastructure projects such as building the Trans-Canada Highway (1949), the St. Lawrence Seaway (1954) and the Trans-Canada Pipeline. It was this last project that was to sow the seeds that led to the downfall of the St-Laurent government. St-Laurent was initially very well received by the Canadian public, but by 1957, "Uncle Louis" (as he was sometimes referred to) began to appear tired, old and out of touch; he was 75 years old and had many hard years of work behind him. His government was also perceived to have grown too close to business interests. The 1956 Pipeline Debate led to the widespread impression that the Liberals had grown arrogant in power. On numerous occasions, the government invoked closure in order to curtail debate and ensure that its Pipeline Bill passed by a specific deadline. St. Laurent was criticized for a lack of restraint exercised on his minister C. D. Howe, who was widely perceived as extremely arrogant. Western Canadians felt particularly alienated by the government, believing that the Liberals were kowtowing to interests in Ontario and Quebec and the United States. (The opposition accused the government of accepting overly costly contracts that could never be completed on schedule. In the end, the pipeline was completed early and under budget.) The pipeline conflict turned out to be meaningless, insofar as the construction work was concerned, since pipe could not be obtained in 1956 from a striking American factory, and no work could have been done that year. The uproar in Parliament regarding the pipeline had a lasting impression on the electorate, and was a decisive factor in the Liberal government's 1957 defeat at the hands of the PCs, led by John Diefenbaker, in the 1957 election. Because the Liberals were still mostly classically liberal, Diefenbaker promised to outspend the incumbent Liberals, who campaigned on plans to stay the course of fiscal conservatism they had followed through St-Laurent's term in the 1940s and 1950s. St-Laurent was the first Prime Minister to live in the present official residence of the Prime Minister of Canada: 24 Sussex Drive, from 1951 to 1957, the end of his term in office. By 1957 St. Laurent was 75 years old and tired. His party had been in power for 22 years, and by this time had accumulated too many factions and alienated too many groups. He was ready to retire, but was persuaded to fight one last campaign. In the 1957 election, the Liberals won 200,000 more votes nationwide than the Progressive Conservatives (40.75% Liberals to 38.81% PC). However, most of those votes were wasted with huge majorities in Quebec. Largely due to dominating the rest of the country, the Progressive Conservatives took the greatest number of seats with 112 seats (42% of the House) to the Liberals' 104 (39.2%). Some ministers wanted St. Laurent to stay on and offer to form a minority government, arguing that the popular vote had supported them and the party's long years of experience would make them a more effective minority. Another option circulated within the party saw the balance of power to be held by either the Co-operative Commonwealth Federation (CCF) and their 25 seats or Social Credit Party of Canada with their 15 seats. St-Laurent was encouraged by others to reach out to the CCF and at least four of six independent/small party MPs to form a coalition majority government, which would have held 134 of the 265 seats in Parliament—50.1% of the total. St. Laurent, however, had no desire to stay in office; he believed that the nation had passed a verdict against his government and his party. In any case, the CCF and Socreds had pledged to cooperate with a Tory government. It was very likely that St. Laurent would have been defeated on the floor of the House had he tried to stay in power with a minority government, and would not have stayed in office for long even if he survived that confidence vote. With this in mind, St. Laurent resigned on 21 June 1957—ending the longest uninterrupted run in government for a party at the federal level in Canadian history. After a short period as Leader of the Opposition and now more than 75 years old, St- Laurent's motivation to be involved in politics was gone. He announced his intention to retire from politics. 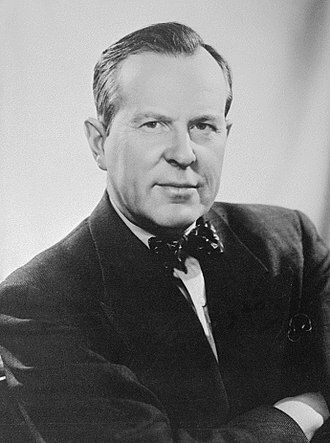 St-Laurent was succeeded as Liberal Party leader by his former Secretary of State for External Affairs and representative at the United Nations, Lester B. Pearson, at the party's leadership convention in 1958. After his political retirement, he returned to practising law and living quietly and privately with his family. During his retirement, he was called into the public spotlight one final time in 1967 to be made a Companion of the Order of Canada, a newly created award. 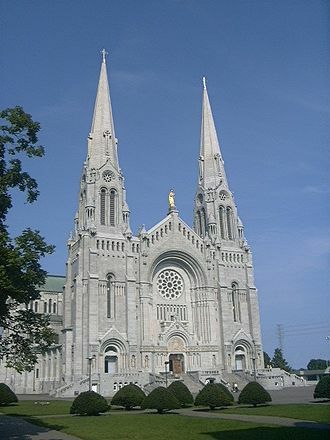 Louis Stephen St-Laurent died from heart failure on 25 July 1973, in Quebec City, Quebec, aged 91 and was buried at Saint Thomas d'Aquin Cemetery in his hometown of Compton, Quebec. He is survived by granddaughters Helen, Marie, Francine and grandsons Louis St-Laurent II and Michael S. O'Donnell. St. Laurent was ranked #4 on a survey of the first 20 prime ministers (through Jean Chrétien) of Canada done by Canadian historians, and used by J. L. Granatstein and Norman Hillmer in their book Prime Ministers: Ranking Canada's Leaders. The house and grounds in Compton where St. Laurent was born were designated a National Historic Site of Canada in 1973. St. Laurent's residence at 201 Grande-Allée Est in Quebec City is protected as a Recognized Federal Heritage Building. ^ a b c Mr. Prime Minister 1867–1964, by Bruce Hutchison, Toronto 1964, Longmans Canada publishers. ^ Hector Mackenzie, "Shades of Gray? 'The Foundations of Canadian Policy in World Affairs' in Context", American Review of Canadian Studies (2007) 37#4 pp 459–473. ^ Gordon Robertson (2000). Memoirs of a Very Civil Servant: Mackenzie King to Pierre Trudeau. U of Toronto Press. p. 100. ISBN 9780802044457. ^ Bothwell, R.; Drummond, I.M. ; English, J. (1989). Canada Since 1945: Power, Politics and Provincialism. University of Toronto Press. p. 117. ISBN 9780802066725. Retrieved 8 April 2015. ^ Patricia I. McMahon (2009). Essence of Indecision: Diefenbaker's Nuclear Policy, 1957-1963. MQUP. p. 7. ISBN 9780773583351. ^ McMahon (2009). Essence of Indecision: Diefenbaker's Nuclear Policy, 1957-1963. p. 8. ISBN 9780773583351. ^ "Historic Sites and Monuments Board of Canada - Former Prime Ministers and Their Grave Sites - The Right Honourable Louis Stephen St. Laurent". Parks Canada. Government of Canada. 20 December 2010. Archived from the original on 19 October 2013. Retrieved 11 March 2014. 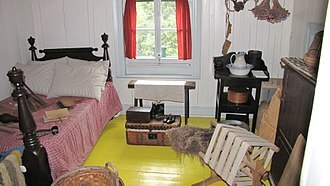 ^ Louis S. St. Laurent National Historic Site of Canada. Canadian Register of Historic Places. Retrieved 7 April 2012. ^ Louis S. St-Laurent House. Canadian Register of Historic Places. Retrieved 7 April 2012. ^ "Order of Canada". 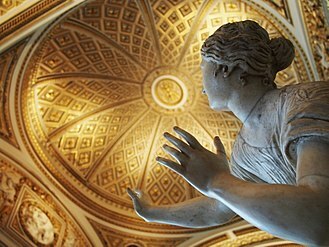 web.archive.org. Archived from the original on 2012-06-09. Retrieved 8 April 2015. Granatstein, J. L. and Norman Hillmer. Prime Ministers: Ranking Canada's Leaders (Toronto: HarperCollins, 1999), pp. 114–126. ISBN 0-00-200027-X. Wikimedia Commons has media related to Louis St. Laurent. "Louis St. Laurent". Dictionary of Canadian Biography (online ed.). University of Toronto Press. 1979–2016. Those in the council are accorded the use of an honorific style and post-nominal letters, as well as various signifiers of precedence. The quorum for Privy Council meetings is four, as its function is to provide the vehicle for advising the Crown, the members of the QPC are predominantly all living current and former ministers of the Crown. 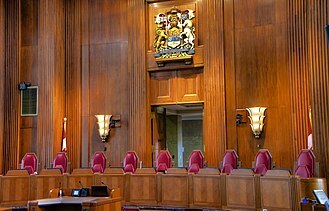 In addition, the justices of Canada and former governors general are appointed. To date, only Prime Minister Paul Martin advised that Parliamentary Secretaries be admitted to the QPC, I will in all things to be treated and resolved in Privy Council, faithfully and truly declare my mind and my opinion. I shall keep secret all matters committed and revealed to me in this capacity, generally, in all things I shall do as a faithful and true servant ought to do for Her Majesty. Harper, on 15 October 2007, advised Governor General Michaëlle Jean to appoint Jim Abbott, on occasion, a non-Canadian has been appointed to the QPC. 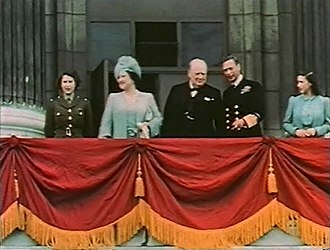 For example, British Prime Minister Winston Churchill was inducted during a visit to Canada on 29 December 1941. Sir Henri Charles Wilfrid Laurier GCMG, PC, KC, known as Wilfrid Laurier, was the seventh Prime Minister of Canada, in office from 11 July 1896 to 6 October 1911. Canadas first francophone prime minister, Laurier is often considered one of the countrys greatest statesmen and he is well known for his policies of conciliation, expanding Confederation, and compromise between French and English Canada. His vision for Canada was a land of liberty and decentralized federalism. He argued for an English-French partnership in Canada, I have had before me as a pillar of fire, he said, a policy of true Canadianism, of moderation, of reconciliation. He passionately defended individual liberty, Canada is free and freedom is its nationality, a 2011 Macleans historical ranking of the Prime Ministers placed Laurier first. Laurier holds a number of records, he holds the record for the most consecutive federal elections won, in addition, his nearly 45 years of service in the House of Commons is a record for that house. At 31 years,8 months, Laurier was the leader of a major Canadian political party. Finally, he is the fourth-longest serving Prime Minister of Canada, behind King, John A. Macdonald, Lauriers portrait is displayed on the Canadian five-dollar bill. The second child of Carolus Laurier and Marcelle Martineau, Wilfrid Laurier was born in Saint-Lin, Canada East, Laurier was among the seventh generation of his family in Canada. His ancestor François Cottineau, dit Champlaurier, came to Canada from Saint-Claud and he grew up in a family where politics was a staple of talk and debate. His father, a man having liberal ideas, enjoyed a certain degree of prestige about town. In addition to being a farmer and surveyor, he occupied such sought-after positions as mayor, justice of the peace, militia lieutenant, at the age of 11, Wilfrid left home to study in New Glasgow, a neighbouring village largely inhabited by immigrants from Scotland. Over the next two years, he familiarized himself with the mentality and culture of British people, Laurier attended the Collège de LAssomption and graduated in law from McGill University in 1864. The Canadian Bar Association represents over 37,000 lawyers, notaries, law teachers, and law students from across Canada. 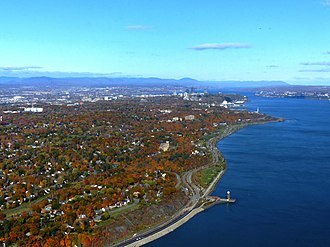 The Associations first Annual Meeting was held in Montreal in 1896, the CBA has been in continuous existence in its present form since 1914. 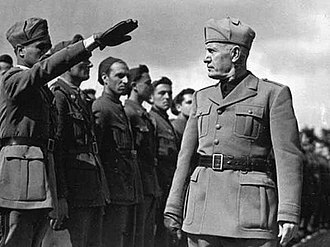 The Association was incorporated in 1921, the Association advances its objectives through the work of its sections, committees and task forces at both the national and branch levels. It has branches in each of the provinces and three territories, membership is voluntary in all but New Brunswick, where by agreement with the law society, lawyers in the province belong to the national association. Approximately half of all practising lawyers in Canada belong to the Canadian Bar Association, the national office of the Canadian Bar Association is located in Ottawa. The Association’s website and databanks are administered by the national office, policy decisions are made by Council which meets twice a year and includes approximately 225 voting members representing the membership across Canada. He was the 14th Prime Minister of Canada from 22 April 1963 to 20 April 1968, as the head of two back-to-back Liberal minority governments following elections in 1963 and 1965. During Pearsons time as Prime Minister, his Liberal minority governments introduced universal health care, student loans, the Canada Pension Plan, the Order of Canada, and his Liberal government unified Canadas armed forces. Pearson convened the Royal Commission on Bilingualism and Biculturalism, and he kept Canada out of the Vietnam War, Pearson was born in Newtonbrook in the township of York, the son of Annie Sarah and Edwin Arthur Pearson, a Methodist minister. He was the brother of Vaughan Whitier Pearson and Marmaduke Pearson, the family lived in the Methodist manse at the corner of Spruce St. and Catherine St. The home still exists but is in private hands, the Methodist church in downtown Aurora became the United Church of Canada. The church was demolished following a fire in 2014. Rev. Pearson was a member of the Aurora Rugby team where young Mike apparently got his inspiration, Pearson graduated from Hamilton Collegiate Institute in Hamilton, Ontario, in 1913 at the age of 16. Later that same year, he entered Victoria College at the University of Toronto and he was elected to the Pi Gamma Mu social sciences honour societys chapter at the University of Toronto for his outstanding scholastic performance in history and psychology. After Victoria College, Pearson won a scholarship to study at St Johns College, Oxford, at the University of Toronto, he became a noted athlete, excelling in rugby union, and playing basketball. He also played for the Oxford University Ice Hockey Club while on a scholarship at the University of Oxford, Pearson excelled in baseball and lacrosse as a youth. His baseball talents as an infielder were strong enough for a summer of semi-pro play with the Guelph Maple Leafs of the Ontario Intercounty Baseball League, Pearson toured North American with a combined Oxford and Cambridge Universities lacrosse team in 1923. After he joined the University of Toronto History Department as an instructor, he helped to coach the U of Ts football and he played golf and tennis to high standards as an adult. Arthur Meighen PC, QC was a Canadian lawyer and politician. He served two terms as the ninth Prime Minister of Canada, from 10 July 1920 to 29 December 1921 and he was the first Prime Minister born after Confederation, and the only one to represent a riding in Manitoba. Meighen served for a decade in the Senate of Canada, Arthur Meighen was born on a farm near Anderson, Perth County, Ontario, to Joseph Meighen and Mary Jane Bell. He attended primary school at Blanshard public school in Anderson, where, in addition to being the grandson of the villages first schoolmaster and he took first class honours in mathematics and Latin. 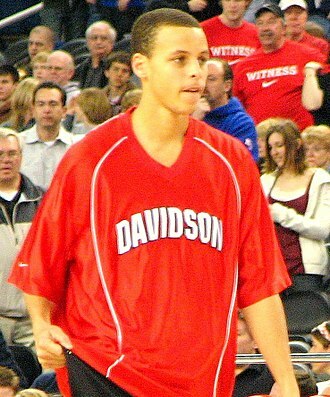 He attended University College at the University of Toronto, where he earned a B. A. in mathematics in 1896, with first-class standing. While there, he met and became a rival of William Lyon Mackenzie King, Meighen graduated from Osgoode Hall Law School. In 1904 he married Isabel J. Cox, with whom he had two sons and one daughter and he moved to Manitoba shortly after finishing law school. In public, Meighen was a debater, said to have honed his oratory by delivering lectures to empty desks after class. He was renowned for his sharp wit, Meighen was first elected to the Canadian House of Commons in 1908, at the age of 34, defeating incumbent John Crawford when he captured the Manitoba riding of Portage la Prairie. In 1911, Meighen won re-election, this time as a member of the new governing party and he won election again in 1913, after being appointed to Prime Minister Robert Bordens Cabinet as Solicitor General. Meighens fiery and partisan speeches gained him a following on the Conservative party backbench, who saw him as logical, informed and he gained a following among those in the party who felt Bordens government was aimless. 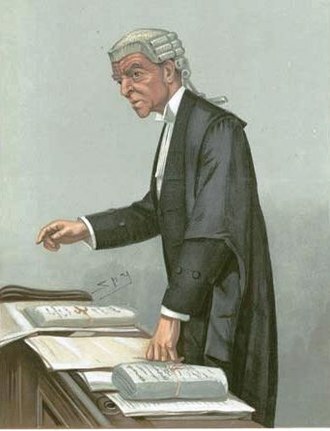 Meighen served as Solicitor General from 26 June 1913 until 25 August 1917, in 1917, he was mainly responsible for implementing mandatory military service as a result of the Conscription Crisis of 1917. 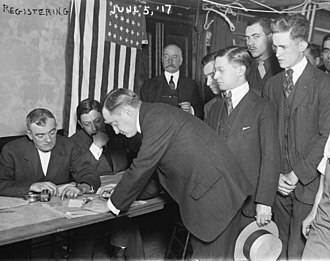 Noteworthy was the decision to give votes to conscription supporters. The Order of Canada is a Canadian national order, admission into which is the second highest honour for merit in the system of orders and medals of Canada. It comes second only to membership in the Order of Merit, membership is accorded to those who exemplify the orders Latin motto, desiderantes meliorem patriam, meaning they desire a better country, a phrase taken from Hebrews 11,16. Appointees to the order are recommended by a board and formally inducted by the governor general or the sovereign. As of October 2016,6,699 people have been appointed to the Order of Canada, including scientists, politicians, athletes, business people, and film stars and others. Some have resigned or have been removed from the order, while other appointments have been controversial, appointees are presented with insignia and receive the right to armorial bearings. Pearson, who was assisted with the establishment of the order by John Matheson. 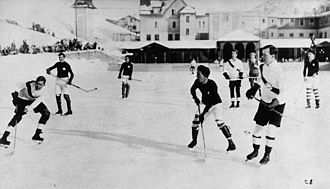 Laurent, Hugh MacLennan, David Bauer, Gabrielle Roy, Donald Creighton, Thérèse Casgrain, Wilder Penfield, Arthur Lismer, M. J.
Coldwell, Edwin Baker, Alex Colville, and Maurice Richard. From the Order of Canada grew a Canadian honours system, thereby reducing the use of British honours, by the 1980s, Canadas provinces began to develop their own distinct honours and decorations. The Canadian monarch, seen as the fount of honour, is at the apex of the Order of Canada as its Sovereign, followed by the governor general, who serves as the fellowships Chancellor. 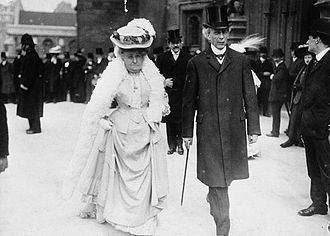 Thereafter follow three grades, which are, in order of precedence, Companion and Member, each incumbent governor general is installed as the Principal Companion for the duration of his or her time in the viceregal post and continues as an extraordinary Companion thereafter. As of March 2016, there have twenty one honorary appointments. There were originally, in effect, only two ranks to the Order of Canada and the Medal of Service, there was, however, a third award, the Medal of Courage, meant to recognize acts of gallantry. This latter decoration fell in rank between the two levels, but was anomalous within the Order of Canada, being a separate award of a different nature rather than a middle grade of the order. John George Diefenbaker, PC, CH, QC was the 13th Prime Minister of Canada, serving from June 21,1957 to April 22,1963. Diefenbaker was born in southwestern Ontario in 1895, in 1903, his family migrated west to the portion of the North-West Territories which would shortly thereafter become the province of Saskatchewan. He grew up in the province, and was interested in politics from a young age, after brief service in World War I, Diefenbaker became a noted criminal defence lawyer. He contested elections through the 1920s and 1930s with little success until he was elected to the House of Commons in 1940. Diefenbaker was repeatedly a candidate for the PC leadership and he gained that party position in 1956, on his third attempt. In 1957, he led the Tories to their first electoral victory in 27 years, Diefenbaker appointed the first female minister in Canadian history to his Cabinet, as well as the first aboriginal member of the Senate. During his six years as Prime Minister, his government obtained passage of the Canadian Bill of Rights and granted the vote to the First Nations, Diefenbaker is remembered for his role in the 1959 cancellation of the Avro Arrow project. Diefenbaker stood for re-election as party leader at the last moment and he remained an MP until his death in 1979, two months after Joe Clark became the first Tory Prime Minister since Diefenbaker. Diefenbaker was born on September 18,1895, in Neustadt, Ontario, to William Thomas Diefenbaker and his father was the son of German immigrants from Adersbach in Baden, Mary Diefenbaker was of Scottish descent and Diefenbaker was Baptist. 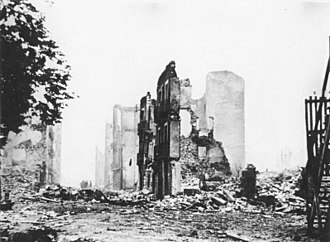 The family moved to locations in Ontario in Johns early years. William Diefenbaker was a teacher, and had interests in history and politics. He had remarkable success doing so, of the 28 students at his school near Toronto in 1903, including his son, the Diefenbaker family moved west in 1903, for William Diefenbaker to accept a position near Fort Carlton, in the Northwest Territories. In 1906, William claimed a quarter-section,160 acres of undeveloped land near Borden, in February 1910, the Diefenbaker family moved to Saskatoon, the site of the University of Saskatchewan. Espionage is the obtaining of information considered secret or confidential without the permission of the holder of the information. Espionage can be committed by an individual or a spy ring, in the service of a government or a company, the practice is inherently clandestine, as it is by definition unwelcome and in many cases illegal and punishable by law. 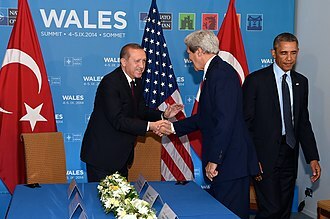 Espionage is a subset of intelligence gathering, which includes espionage as well as information gathering from public sources, Espionage is often part of an institutional effort by a government or commercial concern. However, the term is associated with state spying on potential or actual enemies primarily for military purposes. Spying involving corporations is known as industrial espionage, one of the most effective ways to gather data and information about the enemy is by infiltrating the enemys ranks. This is the job of the spy, Spies can bring back all sorts of information concerning the size and strength of enemy forces. They can find dissidents within the forces and influence them to defect. In times of crisis, spies can be used to steal technology, counterintelligence operatives can feed false information to enemy spies, protecting important domestic secrets, and preventing attempts at subversion. Nearly every country has strict laws concerning espionage, and the penalty for being caught is often severe. However, the benefits that can be gained through espionage are generally great enough that most governments, events involving espionage are well documented throughout history. The Old Testament of the Christian Bible, which is based primarily on the Hebrew Bible, speaks about Joshua and Caleb, the ancient writings of Chinese and Indian military strategists such as Sun-Tzu and Chanakya contain information on deception and subversion. Chanakyas student Chandragupta Maurya, founder of the Maurya Empire in India, made use of assassinations and secret agents, the ancient Egyptians had a thoroughly developed system for the acquisition of intelligence, and the Hebrews used spies as well, as in the story of Rahab. Spies were prevalent in the Greek and Roman empires, during the 13th and 14th centuries, the Mongols relied heavily on espionage in their conquests in Asia and Europe. Feudal Japan often used ninjas to gather intelligence, aztecs used Pochtecas, people in charge of commerce, as spies and diplomats, and had diplomatic immunity. Many modern espionage methods were established by Francis Walsingham in Elizabethan England, in 1585, Queen of Scots was placed in the custody of Sir Amias Paulet, who was instructed to open and read all of Marys clandestine correspondence. In a successful attempt to expose her, Walsingham arranged a single exception, Mary was misled into thinking these secret letters were secure, while in reality they were deciphered and read by Walsinghams agents. He succeeded in intercepting letters that indicated a conspiracy to displace Elizabeth I with Mary, in foreign intelligence, Walsinghams extensive network of intelligencers, who passed on general news as well as secrets, spanned Europe and the Mediterranean. Meighen during his early years as a cabinet minister. Igor Gouzenko's pistol, which he was carrying when hiding in his neighbor's apartment (exhibit of the International Spy Museum in Washington, DC). A dinner of the Ontario Bar Association, a branch of the CBA in Canada's most populous province, in 1910 in Toronto.